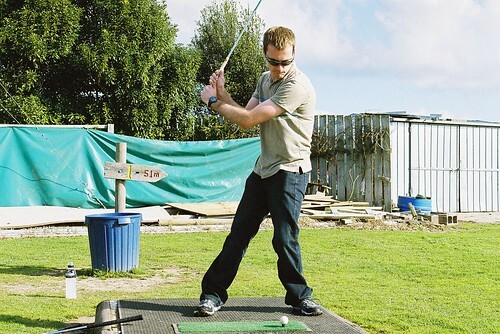 James Brunny tees off at Pitch n Putt, originally uploaded by Azzaroni. I didn't know I was now called "James Brunny" but I guess that will have to do. Note: I don't really know how to play golf.